Part #1 to this blog series focused on the hardware choices I went through and the reasons I discarded some perfectly good options for others. This, as with so many things comes down to the bottom line – costs. This, the next part is around my ideas and plan on what kind of architecture I’m going to build. Whilst I realize this is a homelab, so is subject to be torn down and rebuilt at a moment notice, I still need to have an initial ‘baseline’. Firstly, I will have a minimum of 1 server running 3 hosts in a nested environment, at the most it will 2 servers running 4/5 hosts (2/3 on each server). vCenter 6.7, vRealize Operations Manager, vRealize Log Insight, vRealize Business, NSX-V, vRealize Network Insight, vSAN, and if I can squeeze it in, vRA and Orchestrator. I’ll also be running a MS 2016 Svr as a PDC and DNS server. On the hosts I’ll run a selection of MS and Linux OS VM’s. Which I can then add to, with the other vRealize, vCloud components. From the VCF starting point I’ll know the interoperability is solid. In addition, I’ll be able to run different use cases with the potential to replicate customer environment for investigation purposes. From a networking / Workload domain perspective, physically it will be a flat network, but once it gets virtualized from the NSX Edge, there will be multiple workload domains: Management, vMotion, vSAN, VXLAN, vSphere Replication, North and South Uplinks and External Connectivity. As it’s all private and routed off my physical network, I’ll be using group C addressing. This will help keep it simple to manage. 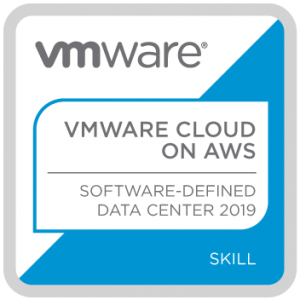 I’ll be working as closely as possible to the VVD, so that when I look at site protection, replication or disaster recovery I can work with a proven architecture. I will have to remind myself that this is just a homelab so is therefore subject to being a lot more simple than the VVD. Basically, the home lab project is just about rolling up my sleeves, having fun and getting more ‘in the weeds’ hands on experience with the awesome VMware products. At the time of writing this, I’ve yet to allocate funds to purchase the hardware. But once this is done, I can then start building. Next: Next post: VMware Encryption – VM or vSAN Encryption?